I just finished my first digital essay, Seo Taiji: President of Culture, for my digital humanities project on the cultural history of Hallyu-era Korean popular music, 1992-2009. But as I continue to build this Omeka site and design the project, I wonder: Is my project a digital humanities project? What am I doing? And am I doing it right? Such questions reflect recurrent anxiety about doing digital humanities with a popular culture project and how it might be perceived in the digital humanities and Korean popular culture studies realms. Lee Skallerup speculates on the value of the printed book over digital publication: “Ultimately, our society (and not just the culture of higher education) places more value on a book. If we are talking about legitimizing digital academic publishing, I think we need to seriously address the love affair we have with the printed word.” But it’s hard to envision my project as something other than a digital humanities project. Hallyu Harmony: A Cultural History of Kpop explores post-1992 K-pop. In addition to a chronology featuring some of K-pop’s the most significant artists and groups, this digital project traces connections among the artists and groups across genres, generations and geographies through visuals, music and commentary. The Seo Taiji digital essay is the first of many on various aspects of K-pop culture. Yes, this project is big and huge! I’d like to think that it’s a digital humanities project. Given the centrality of visuals, music and the Internet to post-1992 Korean popular music, it seemed to be better suited as a digital humanities project rather than a traditional monograph. Other studies of Hallyu de-emphasize K-pop, and few directly deal with the artists and groups within a context of K-pop culture. Do Kyun Kim and Min-Sun Kim‘s Hallyu: Influence of Korean Popular Culture in Asia and Beyond do not feature any essays on K-pop music. Sun Jung‘s Korean Masculinities and Transcultural Consumption: Yonsama, Rain, Oldboy, K-pop Idols “investigates the hybridity of contemporary South Korean popular culture and the transcultural desire of audiences in the various regional markets using the example of hybrid South Korean masculinity, based on a series of empirical reception studies of audiences in Japan, Singapore and the West” (4). As a study on reception, Sun Jung’s work spends little time explicating the actual groups and their music. I’m confident that my project brings a new dimension to the study of Korean popular culture directed towards global audiences. The digital humanities part is more tricky. This project is not a database or a hypertext, but it something I built using skills I learned from the world of DH. I brought those skills to bear on objects that have migrated to a digital space. Building, organizing and populating an Omeka site is no easy task. It really is different from just writing an article or book chapter. At the same time, I used my background in cultural and visual studies, reading these materials in a way that is very different from a communications scholar or social scientist. My digital essay on Seo Taiji represents more than just aggregating. I craft an argument where Seo Taiji is the foundation for contemporary K-pop because of his fusing of various music genres with Korean sensibilities. One could do this in a print article, but a print article could not allow the user to click on the video of his group’s debut in 1992 and compare that debut with a solo video 15 years later. One could not hear the difference in his sound in the intervening years. Such video also allows the visitor to see how Seo Taiji visually incorporated aspects of African American culture and actual African Americans into his vision. Describing that is one thing, showing it is another. In-depth information about Seo Taiji, his time with his original group Seo Taiji and Boys, appraisals of his work and activity by his fans are scattered over the Internet. Bringing that information together and building an exhibit with a narrative that revolves around his fusion of Western music genres with a Korean sensibility benefits from a digital environment. So, it’s digital humanities, right? Well, it depends, apparently. Bola King raised questions in a blog post that look like mine: “What are we doing when we claim to be “digital humanists”? We are clearly not all doing the same thing, or (I suspect) even on the same page at least part of the time. So what would you say to someone from the ‘outside’ if they asked you what you mean by digital humanities?. . . How digital do you have to be, or how humanities, to be considered DH? Is it even right to try to fit such disparate activities under a single categorical umbrella?” These questions suggest a big tent approach to digital humanities, but the comments below it from individuals insisted on a very techy approach. Michael Widner posted: “I’ve had in mind a blog post demanding everyone to go out and learn Perl or Python. I’ve seen too many professors with enthusiasm for digital projects but without the basic literacy necessary to really understand what questions should be asked, much less how to implement the answers.” His comment followed Elijah Meeks’s comment: “I’m always a little worried about how learning code and toolsets is still considered optional. To simply avoid it and still do work on digital subjects seems to me like a person doing research while incapable of reading the language of their research area.” I don’t code. But what I do, I don’t think someone who only does code can do. The kinds of questions I ask about influence and fan activity and construction of meaning by international audiences are questions that code cannot answer for me. It seems to me that DH should allow for a variety of questions to be asked. But this was nearly three years ago. Things have changed, right? In the end, I’m proud of my Seo Taiji essay, and am eager to work on my next essay on choreography of large K-pop groups, to be followed by an overview of the numerous concepts used in K-pop. This is fun! But it is also a lot of work. In the end, I think these digital essays are digital humanities. I won’t lose sleep over it, especially if someone uses my digital essays to learn a little more about the godfather of K-pop. That’s what scholarship is about! 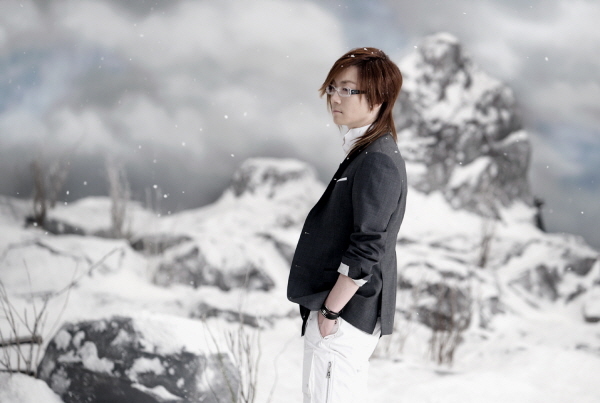 Image: “Seo Taiji, Gaon Chart,” Hallyu Harmony, accessed October 8, 2012, http://kpop.omeka.net/items/show/48. Kim, Kyung Hyun. “Indexing Korean Popular Culture.” Kpop Reader.